If you answered yes to either of those questions you are going to love this simple idea to bring some trendy gold into your home for fall! 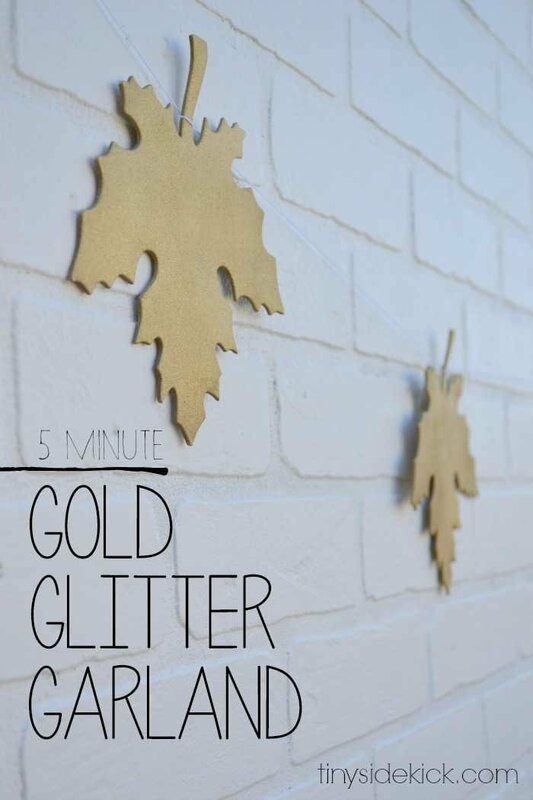 I created this gold glitter leaf garland in just a few minutes (plus drying time) and strung it up on the bookshelves in my living room and hung individual ones from the mirror in my dining room. 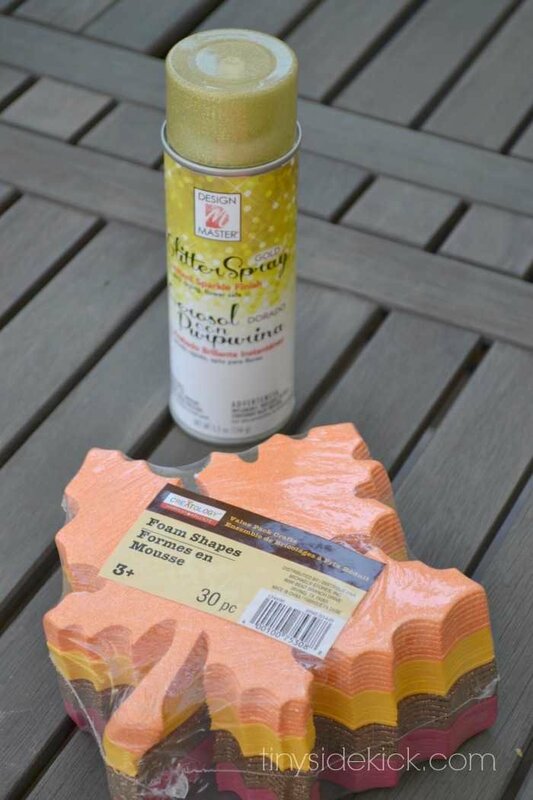 You can get all of the supplies you will need at the craft store or even Walmart. 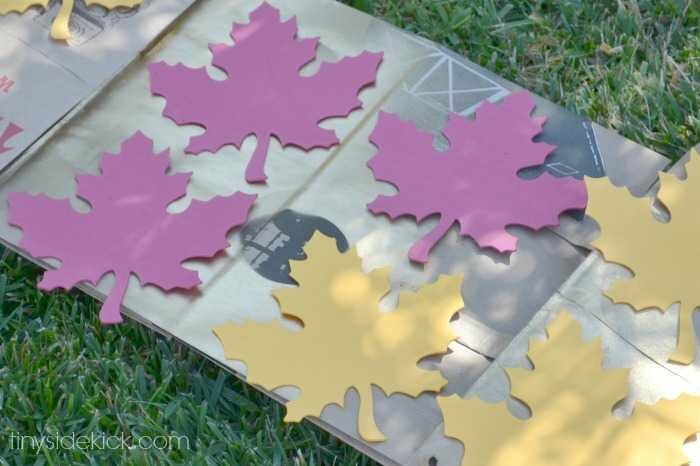 You will need: some foam leaves in these not so cool colors, gold spray paint (not pictured) and some of this really fun glitter spray. This is the first time I’ve used this stuff and I love it! It is like instant glitter! Oh and be sure to spray at a little bit of an angle so that you get the tiny edges. You don’t want any of the yellow or orange or whatever color your cut outs are to show. Once they are gold give them a good blast of the gold glitter spray and let that dry. I used a brand with no alcohol because I didn’t want it to shrivel my foam, so it was a little bit runny, but it dried just fine. 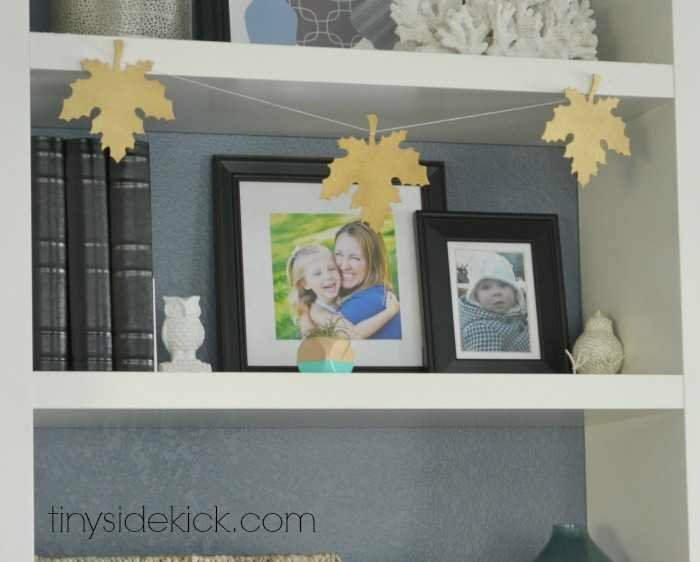 Tie them onto a string by their stems and hang them up to add some modern gold leaf garland to your fall decor! And that’s it! Pretty cool huh? I’ve always wondered what I can do with those kid craft foam cutouts and now I know! Spray paint is always the answer right? Love this! I’m with Kyla and What a cute idea! I hope you will link it up at the Found & Foraged Linky Party! Hope to see you there http://www.thebigrevealblog.com! This garland is so, so cute and so very clever! Love the gold spray paint! This is so cute, Corey! 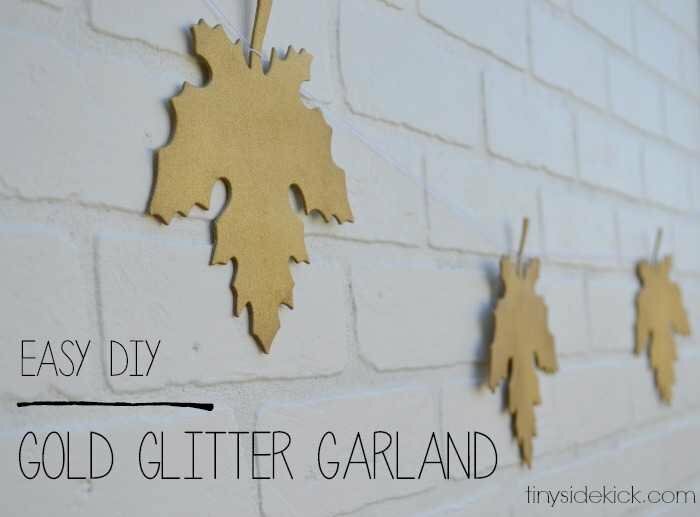 Also, I love seeing how that glittery spray paint looks–I keep wanting to find some pretty gold paint and this looks like a winner! So I’m missing something….when do you put the glitter on? While the gold paint is still wet? Or does the glitter stick on dry surfaces? Great upgrade, Corey! Thanks for sharing it at the link party. Pinning! Quick, simple and fabulous … my favorite kind of project!!! LOVE!